Over the last few years, we’ve seen how the power of whistleblowers can effect change, hold companies accountable and stop corruption. The spotlight on the critical role they could have played is seen in the absence of them in some of the biggest ethical lapses and most devastating frauds in history. While legislation now forces companies to put into place whistleblower programs, how companies use the programs determines whether they will be successful. A hotline where employees can come forward anonymously to report any wrongdoing or perceived fraud can give organizations early disclosure on issues and concerns that can be investigated and remedied before the media gets wind of it, thereby protecting the organization’s reputation. Here are three ways to get the most from your corporate ethics hotline. Organizations invest time and money into implementing multiple avenues for employees to report misconduct. Some companies check that big’ol compliance box and move on. But getting a whistleblower program to work means more than just having a system in place. It means organizations actually have to follow through on complaints from whistleblowers. Conduct preliminary investigations into every complaint to determine whether they warrant further investigation or not. If employees don’t think that the organization is listening or acting on their concerns, they may just stop reporting wrongdoing internally altogether and go outside the organization to report the misconduct. So get your Sherlock Holmes on and investigate every complaint and ensure all details are captured and assigned for follow-up, no matter what reporting channel the employee uses. Case management software also tracks the ongoing investigation, providing a single repository for all case information and contains a tool for reporting on cases. Protecting whistleblowers from retaliation, benefits everyone and organizations can do this by monitoring changes in employee performance appraisals, pay increases and other workplace opportunities following a complaint. Encouraging whistleblowers to speak up if they feel they are experiencing retaliation is very important but requires an open-door culture many organizations simply don’t have. When organizations take proactive measures to combating retaliation, employees feel confident that they will be supported for raising concerns about workplace misconduct and not end up in trouble for doing the right thing. 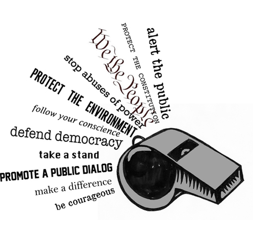 Implementing a whistleblower program is just the beginning. Employees should understand its importance to the company. Ongoing education and promotion of the program ensures your employees really understand it, and their role in it. Employees need to be trained, either by lunch and learns, bi-yearly training sessions, and having employee issued wallet cards that include all information about your program and how they can use it. 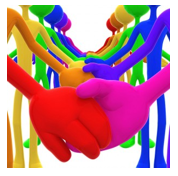 Include all the information in your code of conduct and refer to it frequently to stress its importance. Training also includes setting the right example starting at the top. Potential whistleblowers need to see management taking action when employees violate workplace policies. We’ve heard it before – tone from the top – can make the difference between a whistleblower program that works, and one that does not. Having a company like WhistleBlower Security on your side where employees can report on any type of behaviour goes a long way to ensuring all of your employees are experiencing the same type of job satisfaction. Our tools enable the reporting of any type of wrongdoing and your employees can feel secure that whatever they feel they need to report on, they can do so with complete confidentiality and anonymity. Whistleblower Security is committed to promoting a culture of integrity, collaboration and transparency for all our employees and clients. With a 24/7/365 whistleblower hotline and whistleblower program, employees can be assured that all of their ethical concerns will be heard and addressed.